Location, location, location. Certainly not to be taken lightly, it makes the difference between meh and wow when it comes to hotels. During a recent visit to the High Line Hotel, I had the ultimate New York City hotel experience…trendy location, quirky and unusual structure, fantastic room and a great backstory. The High Line – the area, not the hotel – quite simply, is a reuse of elevated train tracks on the westside of Manhattan that last saw a choo choo in 1980. In 2006 ground was broken to begin the renaissance from overgrown and dilapidated to a glorious park rising 30 feet above the rushing streets. The High Line Park is now a major destination for tourists and locals alike who wish to walk the walk, enjoy the views and admire the carefully chosen plantings that grace the entire length. 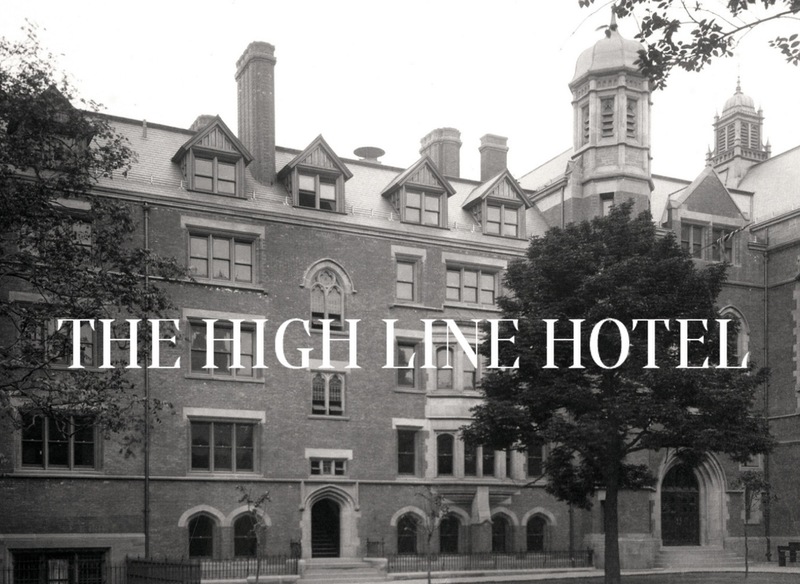 The High Line – the hotel, not the area – has an equally compelling history. 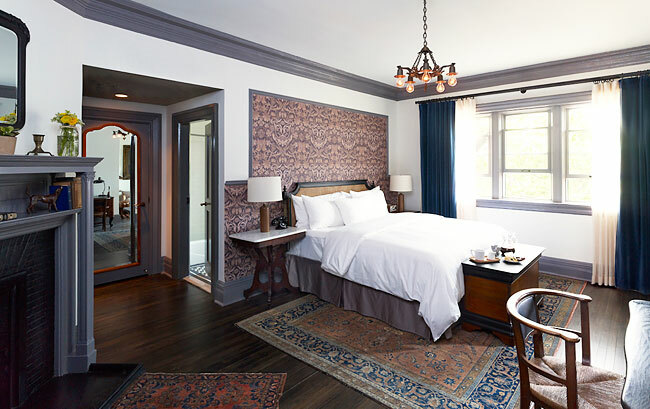 Built in 1895 as an Episcopal seminary dormitory, the red brick gothic-style structure experienced several incarnations before its current status as a hotel, opening in September 2013. The vast property still contains a functioning seminary, private gardens and several condominium units. 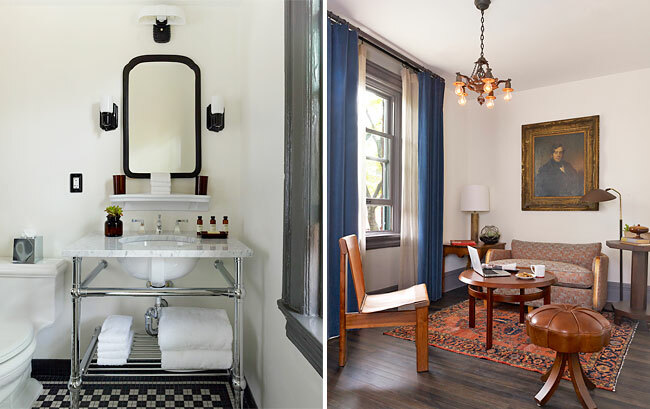 In keeping the character of the original structure, none of the 60 guest rooms are alike and all are furnished with antiques combed from the east coast. Some of the rooms overlook the private garden…in season you can sit and reflect on times past. Think hunting lodge meets Hogwarts without Dumbledore and Harry. When I departed after a wonderful night’s rest, I was sad to rejoin the present. 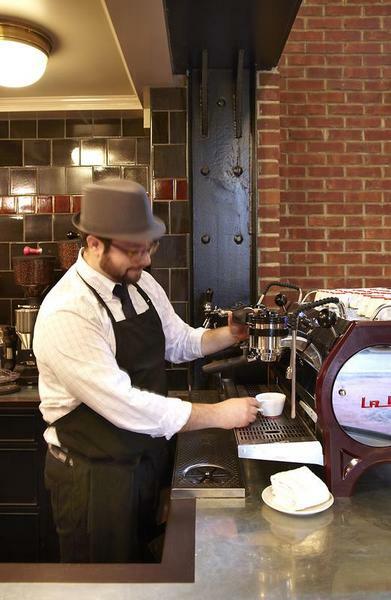 After a bracing Intelligentsia coffee at the zinc topped bar and a quick wave to the mounted moosehead in the lobby, it was out into the cold, real world. After 13 snow “events” this season, I would have been very happy to hibernate until spring in this little corner of history. The High Line Hotel, 180 10th Tenth Avenue (at 20th Street), New York, NY 10011. For more information, see thehighlinehotel.com.